Web of Lies? Crocodile Dundee 2? If you were excited to see either of these movies, I'm sorry they're not real. In fact, their trailers were an elaborate marketing stunt. Read below and see which brands are releasing these fake movie trailers. Also, find out why McDonald's flipped their Golden Arches upside down and what happens when HubSpot and Facebook join forces, in this week's Inbound Marketing Highlights! They almost had us fooled! Many brands today are essentially tricking consumers into thinking their ads are movie trailers. So what exactly is the reason for this? Well, people identify more with films more than they do with a traditional ad campaign. 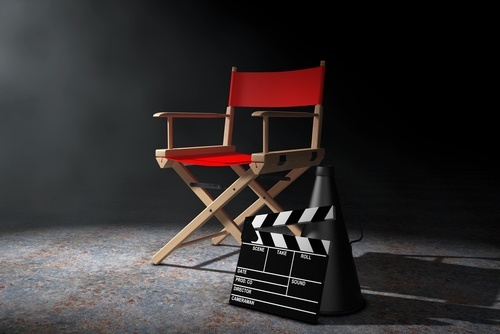 Unlike many ads, movies tend to invoke passion and emotion that resonate with viewers. “These brands are using self-effacing humor to generate likability between themselves and their audience. … These companies are overtly making fun of themselves and in a marketing climate filled with over-promise and brands that hold themselves up in the highest regard imaginable, the honesty of this approach is a breath of fresh air for consumers,” explained Mike McKay, chief creative officer at Eleven. Brands trying this trend include Taco Bell and Tourism Australia. Taco Bell made a trailer that mimics that of a drama, appropriately called, “Web of Fries.” Web of Fries features many elements that are in current blockbusters like blackmail, scary clowns, and high-speed car chases. Their goal was to make it look like an award-winning movie. For the Tourism Australia ad, their agency even went as far as building authentic IMDb pages, creating billboards for the fake film and producing believable trailers. The brand unveiled the faux film’s true identity during the Super Bowl, creating the perfect storm for success (and nearly 7 million views on YouTube). So what do you think? Are you a fan of this approach? For the first time in McDonald's history, they have flipped their Golden Arches. Why? To support women everywhere by turning their iconic logo into a giant W. The eatery has partnered with International Women’s Day to support gender equality and to celebrate the accomplishments of women around the world. Now this does not mean the McDonald's down the street from you flipped the arch on their sign. In fact only a handful of physical locations did. However, McDonald's changed their social media presence to sport the W and shared a video of the story of Patricia William's on their Twitter account. Williams invested every penny she had back in 1987 to open her first McDonald's. Today, she owns a total of 18 locations with her daughters. “The opportunity for a mother to show her kids what it’s like to be her own boss, that was invaluable,” Williams says in the clip. “I was set on changing everyone’s mind. Not just for my family, but for the community around us that we worked so hard to build up." With many different social platforms to choose from, Under Armour is trying to rise to the top by using Snapchat. Snapchat’s huge audience of under-16 sports fans is a perfect fit for Under Armour to advertise. Snapchat has been aggressively trying to increase their revenue from advertisers as they fell short in projected profit last quarter. One of the big reasons Under Armour favors Snapchat is because it creates interactive experiences for customers. Because of the nature of the app, brands only have a couple seconds to catch user's attention. "Snapchat’s ad formats run content for 10 seconds; Under Armour’s ads are designed to be watched in five or six seconds, with the main call-to-action popping up in under two seconds. If we can squeeze that main message to six seconds, we know it’s going to loop. If it didn’t resonate the first time, I’d rather them watch the ad one-and-a-half times in 10 seconds than risk them clicking away from it,” says Under Armour's Shum-Harden. While Instagram’s audience prefers to consume content, Snapchat’s users like to make content. This differentiator translates to how Under Armour creates ads for the platform. Facebook has recognized HubSpot for their capabilities, expertise, and success in advertising technology, naming it an official badged partner. The new partnership builds upon existing collaboration between the two companies, which includes several different integrations. If you're a HubSpot user, you probably noticed the new ability to schedule and directly publish content from HubSpot to Instagram! "We're thrilled to bring some of Facebook's new and very innovative B2B solutions to our customers and become a badged partner. Investing in native integrations with Facebook, Instagram, and Messenger is going to help HubSpot customers grow now and well into the future." - Brad Coffey, Chief Strategy Officer at HubSpot. It's an exciting time to be a HubSpot user with these new social media integrations available!